QUMIN's Arnold Ma explains how the latest updates to WeChat will make the messaging app even more prominent in China. WeChat is one of the world’s largest Social networks, with over one billion monthly active users and over 900 million daily active users. For global marketers, this is a unique opportunity to expose your brand to the world’s largest single market. 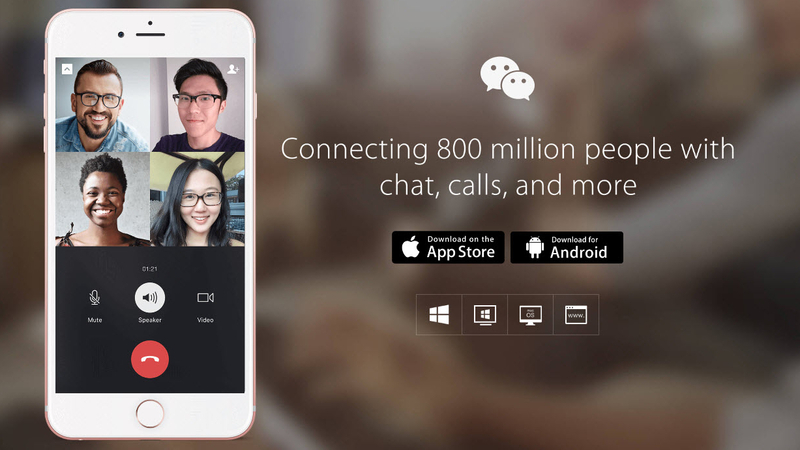 More so, WeChat is not just social media software. Since it was first released in 2011, it has evolved into a web of services that are interconnected by its core social media features. Some call it a ‘Super App’. I’d like to go one step further, WeChat has developed, over the past several years, into what can only be described ‘Social OS’. I will explain what I mean by this term. In China, WeChat is used for almost everything, every day, by almost everyone that has a mobile device. They’ve focused their service design around facilitating everyday needs of the Chinese public. Aside from social sharing, talking to friends, colleagues, customers and clients, WeChat is also used as a mobile wallet – and unlike Apple Pay – it has widespread adoption. WeChat pay is accepted everywhere in China, from your local vegetable market to street buskers. What does all the above mean for businesses looking to target Chinese consumers? Well, it’s great news, because China and WeChat are the only country and platform where you can service your customers through the entire user journey, in one place, from awareness to advocacy. It’s even attributable from Online to Offline (O2O) activities. Imagine the marketing and CRM possibilities! Other features – on the consumer side – include in-platform O2O services, such as investing your mobile wallet funds, retail and restaurant integration, preorder/reservations, splitting bills, ordering taxis, smart home remote, even ordering a dog groomer while you are at work. And – on the business side – group chat and file sharing, daily time sheeting, supply chain management and sales CRM, think Salesforce, SAP and Slack. Aside from these primary services, WeChat has also been pushing Mini-Programs. This is what makes WeChat a true Social OS. Mini-Programs are essentially apps that can be saved within WeChat, permanently. Just like apps on iPhone/iOS. So Mini-Programs opens an almost infinite number of new features to the WeChat ecosystem. We are also seeing Western internet giants copying this model. Amazon are positioning Alexa as the core Social OS with apps or, as Amazon calls it, Skills. It’s the natural step – how does a service design tech giant make themselves indispensable in the daily lives of their users? By integrating more essential services, of course. Now that we have some context, I’ll go through each of the key WeChat announcements from the recent Tencent annual conference. 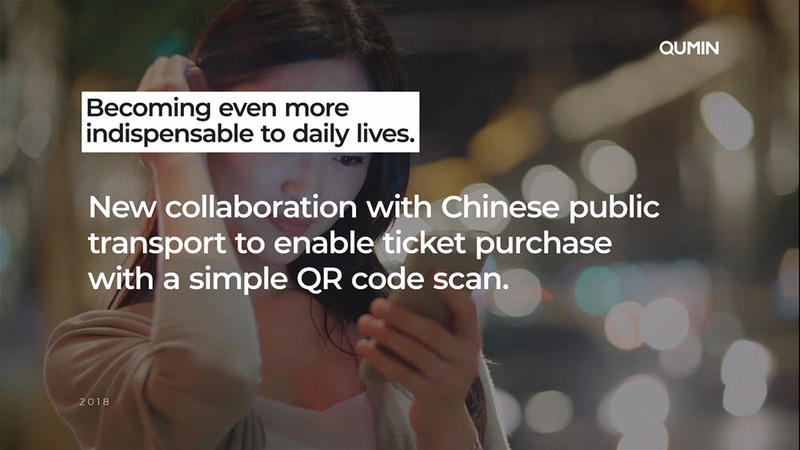 New collaboration with Chinese public transport to enable ticket purchase with a simple QR code scan. This integration will start with public transport in Tier 1 cities and is initially only for buses. But this is a big step towards a better public transport experience – as anyone who has been to China would know – the infrastructure is nothing short of amazing, but purchasing tickets can be a nightmare, and it’s even worse for foreign visitors. For example, the Underground in SH remains one of the last places that you can’t use WeChat pay. The more essential services in WeChat, the more customer behaviour data becomes available. And great campaigns are always based on strong insights. 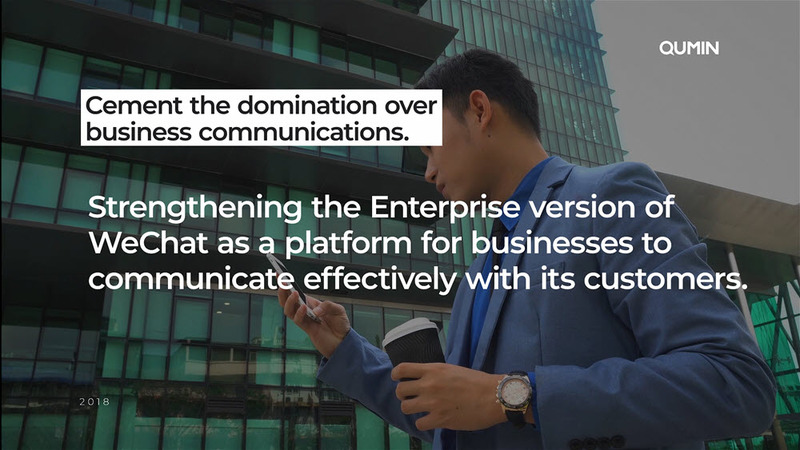 Strengthening the Enterprise version of WeChat as a platform for businesses to communicate effectively with its customers. 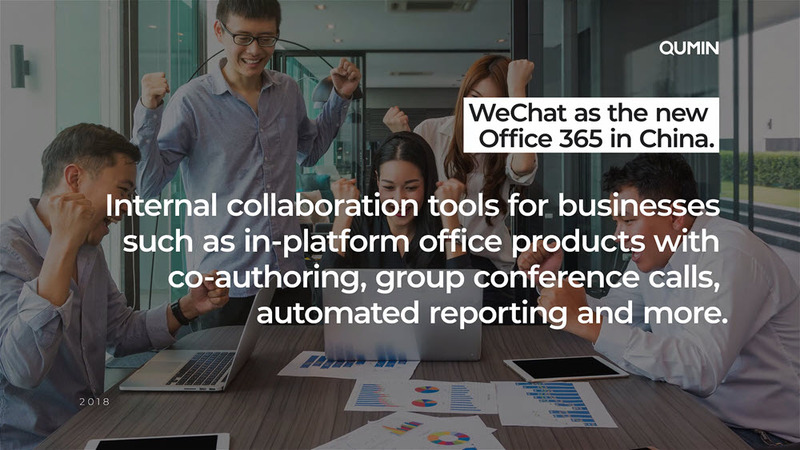 WeChat Enterprise is the third account type launched a few years ago – helping businesses to manage internal communications – built from demand of WeChat’s organic adoption by business users, replacing emails in most cases. This update will take the Enterprise account one step further and enable customer/supplier better communications and management. The other two WeChat account types are purely built for brands. WeChat Service account has full tech and API integrations, better presence and reach, but you can only post four times per month. Think of it as email marketing on an instant messaging platform. WeChat Subscription account has no post restrictions but has limited reach and almost no tech/API integration options, all subscription account content is arrogated into one feed for the user. A better choice for publications. Internal collaboration tools for businesses such as in-platform office products with co-authoring, group conference calls, automated reporting and more. Linked to point two, not only is WeChat dominating business communications in China, it clearly has the ambition to become an integrated solution, too. Enterprise and B2B WeChat features are the biggest announcements at this year’s Tencent annual conference. 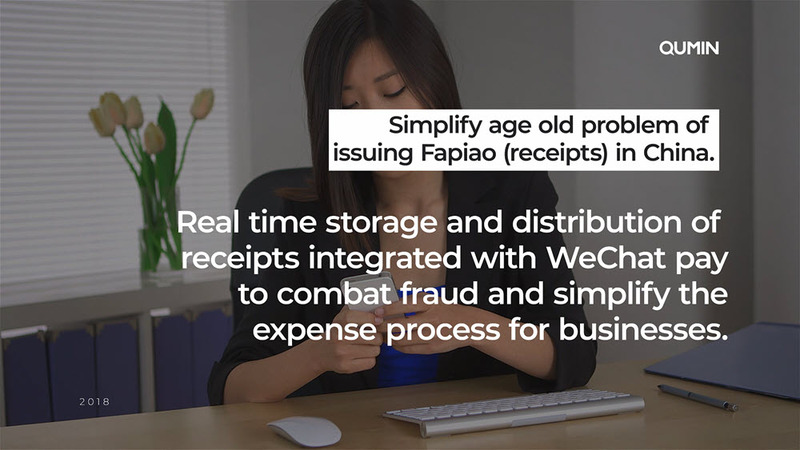 Real time storage and distribution of receipts/invoices integrated with WeChat pay to help with fraud and ease the expense process for businesses. So Fapiao in China is both an invoice and a receipt, which is where the confusion comes from for most foreign businesses. It’s also a very traditional system based on mechanical machines and paper records. It’s easy to manipulate and unreliable. Integrating the process on WeChat (on top of other business solutions) further reinforces the platform as an essential enterprise tool whilst creating a more robust and secure invoice and receipt system. 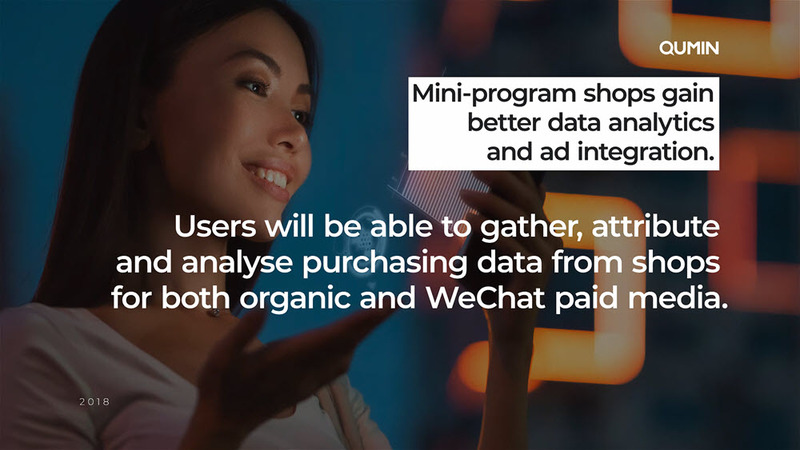 Users will be able to gather, attribute and analyse purchasing data from shops for both organic and WeChat paid media. The third and final major category of announcements. WeChat has been pushing for both Mini-Programs and social commerce features. As well as being apps, Mini-Programs can also be shops. You can already collect data by asking users to give consent before they use a mini-program. But attribution of sales against WeChat Organic and Paid Social data has been poor. This is will be an extremely welcoming update for social sellers on the WeChat platform – and marketers alike. In conclusion, this year’s Tencent annual conference has made some of the biggest announcements for WeChat in recent years. They are aiming at doing three things: reinforce WeChat as an indispensable platform for its users, providing more integrated solutions for business users, and finally, improving e-commerce performance for social sellers. Big announcements, big future, and even greater market dominance for Tencent’s WeChat – exciting and somewhat scary times.